As I mentioned in one of my first posts, every time I get on a plane, the person next to me ends up talking to me. And like most first encounters in American culture, the question of occupation and more specifically, “what you do” always comes up. I think what I do is pretty cool and most times my plane neighbors agree. It seems like someone can always relate to either children or media in some way. Thus, the fact that I study both children and media generally leads to a flight-long conversation. What’s amazing to me is that over the years, people always want to talk about kids media use at home. I have had conversations about families with no-media rules and parents who insist Baby Einstein was their child’s favorite activity. Over the years I have also been asked a lot of questions: Should I show my kid Baby Einstein videos? Why does every kid love Elmo? 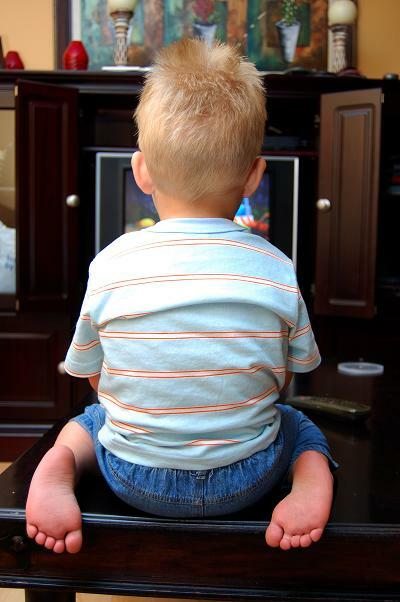 Should I limit the amount of time that I let my kid watch TV? Does TV cause ADHD? What about Autism?…. The lists go on. What I realized today, is that no one has every asked me or talked to me about their kids media use in the classroom. I know parents aren’t only concerned about media at home and that many parents choose childcare setting based on their media use policies, but are parents concerned or interested in how media is used in the classroom once their childcare selection has been made? Interestingly, this is a question that researchers haven’t spent much time thinking about or asking either. Just recently the National Association for the Education of Young Children and the Fred Rogers Center published a report titled Technology in the Lives of Teachers and Classrooms: Survey of Classroom Teachers and Family Child Care Providers. This study found that yes, media is used in the child care settings of young children (kids under age 8). Of the almost 1,500 teachers surveyed, almost all use books and music daily with children. In general there appear to be some differences in the use of media technology in classroom based settings and the homes of family child care providers. Computers seem to be used more frequently by teachers in classrooms compared to family child care homes. However, TV and video based technologies seem to be used much more often with children in family child care homes compared to center based classrooms. Keep in mind these are just statistics. Not every family child care provider fits into these generalizations nor does every center based child care teacher. Unfortunately, this study isn’t able to tell us how teachers and providers are using these technologies in the classroom. Is music continuously playing in the background? Are nature videos shown on the TV to extend upon a topic taught that day? Do children use computers to learn about what foods leopards eat? This study does give us some things to think about. How as parents are the media worlds our children live in at home similar and different from the ones they are experiencing at school? How are child care providers and teachers helping our children understand media and how to learn from it? Can parents also learn from these teachers? What kinds of materials are children using in their classrooms and how can we bring similar ideas back home to continue their education and learning outside of the classroom?